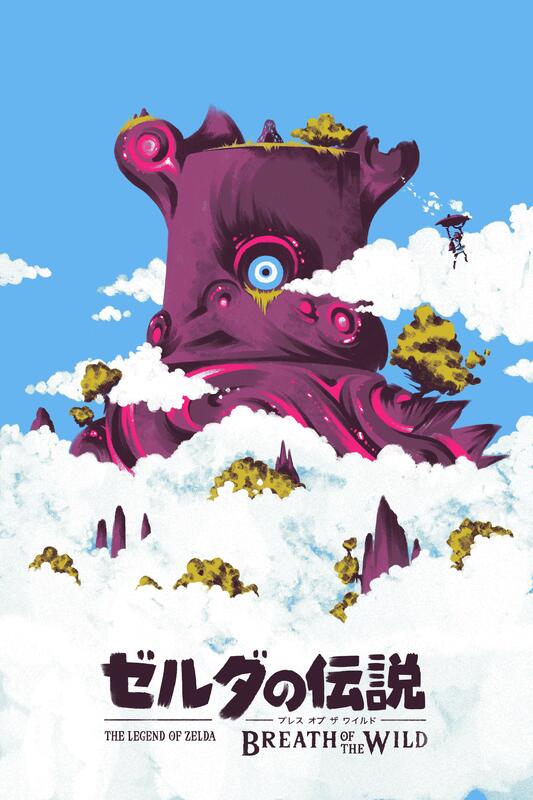 Lyndon Willoughby, an artist and fan of The Legend of Zelda: Breath of the Wild, was recently commissioned by Hero Complex to create a piece of artwork inspired by Ghibli and Breath of the Wild. 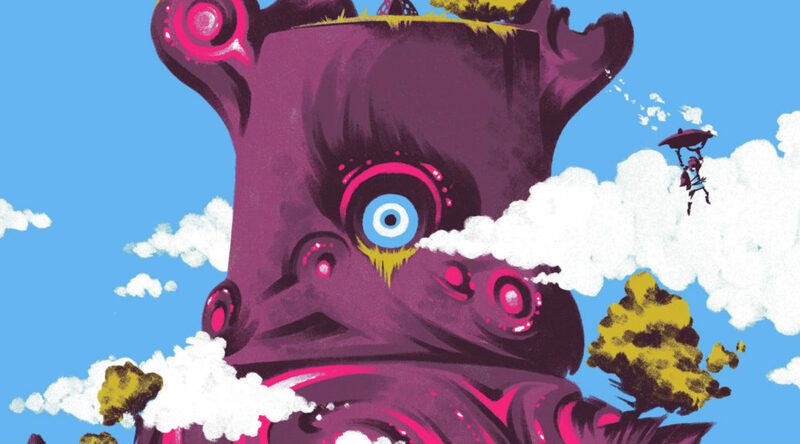 The resulting artwork is simply stunning – a giant Guardian emerges from the clouds and mountains of Hyrule, with Link seen gliding down from it. Willoughby said the secret to making this look great is by using dissolve brushes and six colors.